Is Blockchain the future of digital lending? Today’s customers expect not just fast, seamless, and hassle-free access to loans but transparency, and security of their personal data, are equally important to them. Any technology that has the potential to ensure all of these is going to have a disruptive effect on the lending industry. Blockchain is one such technology that promises to do all this and more. And that’s why though the technology is in its infancy, the industry is racing to adopt it. Blockchain in lending sector-can it give an advantage over competition? Blockchain is a trending technology that is promising to revolutionize the business of lending. Lending firms globally have started harnessing blockchain concepts for its potentially disruptive benefits. So, how exactly could blockchain transform lending? Lending business revolves around two factors: risk and trust. There are multiple parties involved in the various stages of the loan cycle, and at times it is a big challenge to balance the risk and trust factors. Blockchain can be a disruptive technology which can solve this increasingly alarming complexity affecting the business of lending. Companies can enter their transactions directly into a joint register, rather than keeping separate records based on transaction receipts, creating an interlocking system of enduring accounting records. Since all entries are distributed and cryptographically sealed, it is nearly impossible to alter a transaction once it becomes part of the chain. Blockchain makes the transactions transparent and secure. In a world where lending and borrowing uses blockchain to validate and authenticate all transactions, algorithms can safely take decisions, without the need for human oversight. As key facts and all changes are transparently chronicled, the integrity of the transactions and assets that back the liability are beyond doubt, removing the need for subjective, experience based human decision making. When Blockchain underpins the entire lending process, it not only reduces the risk of fraud, but also increase the operational efficiency, saves money and improve customer experience. Transparent and auditable as participants in a transaction have access to the same records, they can validate transactions, and verify identities or ownership without the need for third-party intermediaries. Transactions are time-stamped and can be verified in near real-time. Decentralized distributed ledger ensures security is fool proof. When a transaction occurs, everyone in the network knows about it and chances of any foul play is reduced. Blockchain offers privacy to lenders and borrowers by not publicly naming the parties involved. Involved parties are of course privy to the relevant facts, and changes to key information is clear. There is no need for reconciliation as all the processes are taken care by algorithm. Due to its distributed nature, the technology is secure and un-hackable. In today’s connected world, the need for technology that can guarantee accuracy and ensure safety of data is greater than ever before. More and more lenders are increasingly looking at blockchain to fulfil this need. Coupled with all the other advantages of a trusted system that enable enterprises to share a true copy of data with their partners, early adopters of the technology are poised to reap the benefits of a transparent, flexible and trustworthy system. That’s a paradigm shift in the lending sector, something that will provide a perceptible advantage vis a vis competition. 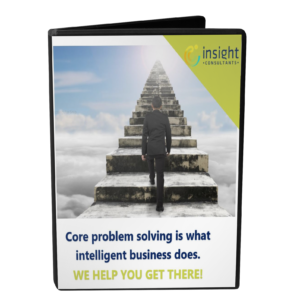 How can Insight Consultants help you?